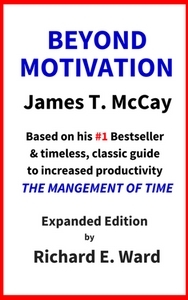 I republished BEYOND MOTIVATION by James T. McCay in eBook format as an Expanded Edition in 2014 using my Tydbyte Media imprint. BEYOND MOTIVATION by James Tackaberry McCay with Richard E. Ward helps individuals and groups increase their productivity by recognizing that working with others is an exchange of energy. Discover how to recognize the direction and intensity of your own energy and the energy of others so that you can amplify positive outcomes, eliminate waste and store or redirect energy. Get, and give, more for less to each other. BEYOND MOTIVATION is an incredibly rich work. The material in the book is presented in an easy-to-follow, readable style that makes extensive use of diagramming. James Tackaberry McCay was a business visionary whose work with synergy, integral development, and shared consciousness was far ahead of his time. His insights and practical tools developed and refined over the years are still as useful today as they were more than fifty years ago. The Expanded Edition preserves the original and adds reference material for each of the authors and books referenced in Beyond Motivation; an index, as well as extensive hyperlinking so you can easily surf through the book and explore. Read parts of BEYOND MOTIVATION online at beyondmotivation.ca before you decide to buy and download it. You can read about my journey to republish BEYOND MOTIVATION here. 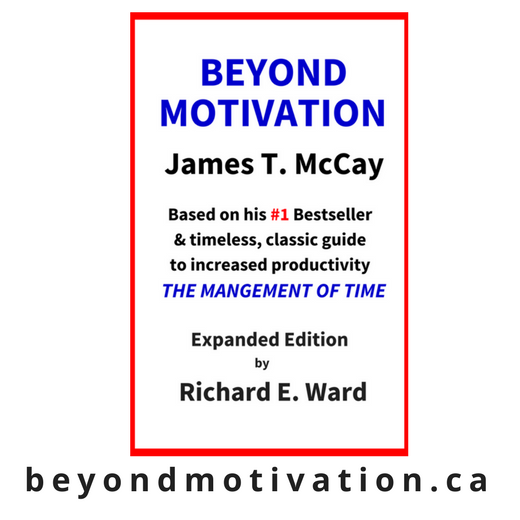 BEYOND MOTIVATION by James T. McCay was originally published in 1970 and builds on the foundation of his classic of personal productivity THE MANAGEMENT OF TIME that was first published in 1959 and then republished by Prentice-Hall, New Jersey in 1992 with a new Introduction and Appreciation co-authored by Richard E. Ward. Read my story of how I came to republish BEYOND MOTIVATION.